We all want to be healthy, or ratherwe all NEED to be healthier. 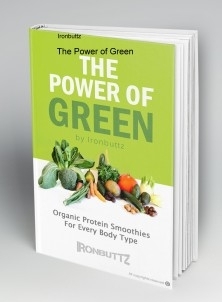 The power of green gives insight into what green foods provide the more substantial health benefits. We even offer some great green smoothie recipes. Better yet, youll find included within these pages some recipes focused on detoxing your bodyimages included! The power of green is powerful! These naturally organic foods really work and they help regulate and balance the body in ways you never thought possible. If youd like to change your life, change your mind and change your body forever, just give this a try. Youll enjoy what you find here.